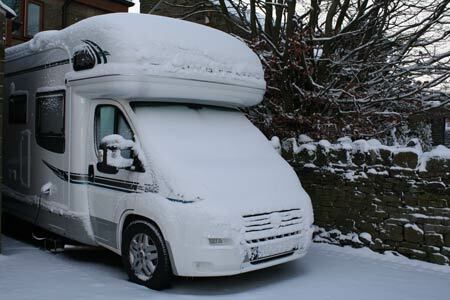 Community Poll: Do you use winter tyres on your motorhome? We recently wrote an article on the benefits of fitting winter tyres to motorhomes for use in wet, icy or snowy conditions throughout the winter months. But we want to know how many motorhomers actually use winter tyres, and whether you think they’re worth the money? Have your say by voting in our community poll to the bottom left, and feel free to leave your comments below. Come on lads.Lives could be at stake for the sake of a few extra pounds. When winter arrives there is a lot of debate about when to switch to winter tyres, and indeed whether to switch at all. i put snow tyres on the front of my hi top vw auto sleeper trident. fantastic, ecellent grip, much more stable on the road, DOES NOT use more diesel, just drive it properly for fuel efficiency. hopefully will prevent me getting stuck on wet grass this year aswell. my partner is a truck mechanic, and i took his advice… and it worked! awesome decision. will get back ones fitted when finance allows. I fitted winter tyres in october and will run them all year from now on as I only do about 6000 miles a year. They are soft compound winter tyres with a standard tread pattern plus a few extra grooves on the top of the tread.They are quieter than my previous tyres and the grip has been amazing in the recent snow that was then rolled into ice,they allowed me to make the climb to our place with hardly any slipping ( we live in the hills of north wales )I feel some people are confusing the town and country knobbly style tyres more suited to 4x4s with winter tyres ,if you feel you occasionaly need more grip you could like me keep a set of snow chains on board they are cheaper than a second set of wheels easy to store and work in mud too.. I have had winter tyres on my Burstner Elegance 820i tag axle that we took to the Alps skiing twice a year. Handling 6.5 tones in the snow you needed winter tyres. Saying all that I used them throughout the year and felt the performance was very good compared to ordinary tyres. I clocked up 27000+ without changing them and they still had a number of miles left in the when I part ex it. If you treasure your motor home and drive in the winter why wouldn’t you fit them? My new Burstner Elegance has winter tyres. I use Toyo HO9 winter tyres all year round. I wild camp and also end up on grass when at C & CC rallies, so the main reason for purchase is versatility and self sufficiency. They do not cost much more than HO8’s a summer tyre. Since tyres need to be replaced around about 5 years and mileage is relatively low whilst motorhoming, faster wear and lower MPG is largely irrelevant. They do have a longer braking distance in 7c and above but I tend to drive to enjoy my surroundings and relax so tend to drive at speeds were urgent heavy braking is not needed. We dont have ‘winters’ on, but when my tyres are due for renewing next year then I will get M & S tyres fitted for all year running, because at present my Michelins are totally useless on wet gass. 14 mths ago I needed new tyres, I use my van every week (I commute then stay the week) for work. I researched and found 2 tyres Michelin Camper and the Continental Vanco Camper that were Motorhome/camper rated I then rang 2 tyre companies for advice 1 said Continental but Michelin are as good and I have them in. The other said Continental but if you want a cheaper alternative Michelin are ok but for winter and mud the continental was a good choice for all weather including snow. Winter tyres? There is a lot of misinformation about them. Yes, in cold conditions they grip better, but all the rest of the time they grip less well. 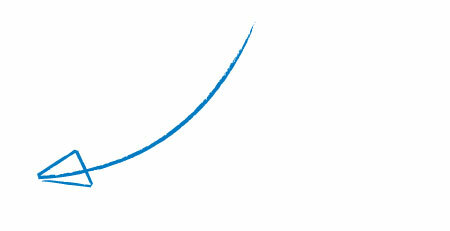 They can also use more fuel, they make more noise, and they almost certainly perish more quickly. If you have a winter set and a summer set, you will be changing tyres through ago long before they are worn away. So unless you routinely drive your motorhome in conditions of colder than -10 degrees (colder than the current cold snap), or in freezing but warmer conditions for short journeys, winter tyres are just a way for tyre dealers to make money out of you. I use all weather tyres on all our vehicles all year round. They help getting out of muddy fields as well as in snow and ice. They are brilliant on ungritted roads allowing us to easily pass all those struggling up the slightest gradient. We go to CZECH and down to the Black Forest ,lots of snow and ice use Michelin tyres all year round with out problems.at £180 a tyre I don’t intend to buy winter tyres as well. Winter tyres are great in wet road conditions too though, so it’s surprising how much use you can get out of them during a British winter. They’re certainly not just for use in snow and ice. I would have thought that you would have to use your van a lot in the off season to make it financially viable.Another major problem is storage space for the tyres not inuse. Although I agree winter tyres are a must if you go to the colder parts of Europe where snow is likely during the winter. I doubt I will ever purchase any as I use my motorhome infrequently during the winter and then only when the weather forecast is generally good. I also only use campsites with hardstanding pitches. There is one problem with Winter tyres and that is we do not get sufficient snow to warrant such an expensive purchase as remember you will also have to pay to have them fitted. With regards to other problems such as muddy fields most Camp Sites do not allow you on grass anyway.